Lott Rolfe IV is the owner and founder of the Rolfe Law Firm, P.A. He focuses his practice on Criminal Defense, Personal Injury, Bankruptcy, Social Security Disability, Family Law, and Civil Rights. Mr. Rolfe attended the University of Arkansas at Fayetteville where he graduated with a B.S. Degree in Secondary Education. Mr. Rolfe continued his education at the UALR Bowen School of Law and obtained his Juris Doctorate Degree in 1997. Mr. Rolfe was admitted to the Arkansas Bar in 1997 and has practiced law in state and federal courts throughout the state of Arkansas. Mr. Rolfe has extensive experience in various areas of the law and has personally handled numerous bench and jury trials throughout the State of Arkansas. 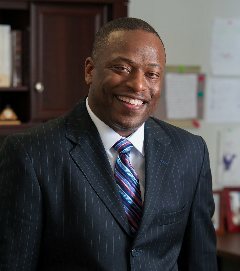 His professional associations are the Arkansas Bar Association, Pulaski County Bar Association, W. Harold Flowers Law Society, Arkansas Association of Criminal Defense Lawyers, and The Judge Henry Woods American Inn of Court. Mr. Rolfe is also actively involved with the University of Arkansas Alumni Association and Alpha Phi Alpha Fraternity.